GUITARS AND AMPS EXPO 2014: Since 1984 Guitarist has been entertaining and informing players and enthusiasts with gear reviews, artist interviews and guitar lessons. The magazine has a proud tradition of the highest quality writing and photography, brought to you with unrivalled artist access and world-first reviews on all the latest products. Guitarist deals with electric, acoustic and bass guitar, plus offer a whole host of technical Q&A and 'how to' style features. It doesn't matter what your age or ability - if you love guitars, you'll love Guitarist. 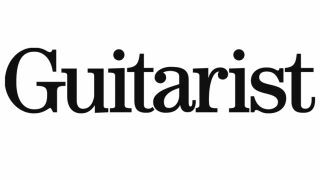 Click here to buy a print or digital copy of Guitarist magazine. The Guitarist Vault contains all of your Guitarist audio and video ready to download to your PC or Mac. It's a quick and easy online service available to anyone who buys the magazine and registers their details. The Guitarist Vault builds to become your own personal reference archive of gear demos and guitar lessons. So no more searching through stacks of CDs for a certain demo or lesson - it's all at your fingertips. Register with the Guitarist Vault now. To keep up to date with Guitarist please visit their Facebook and Twitter pages, or view their latest videos via the official Guitarist YouTube channel.